When our bodies are depleted of necessary vitamins or minerals, there is a reaction. Even if we don’t notice it, we don’t feel as well as we should. Iron deficiency has such side effects that can leave a person feeling utterly depleted. Iron, of course, is necessary for healthy body functions, and is especially vital for pregnant women, babies, and kids growing like weeds. A lack of iron can cause developmental problems, so if low iron is detected, it’s wise to address it promptly. 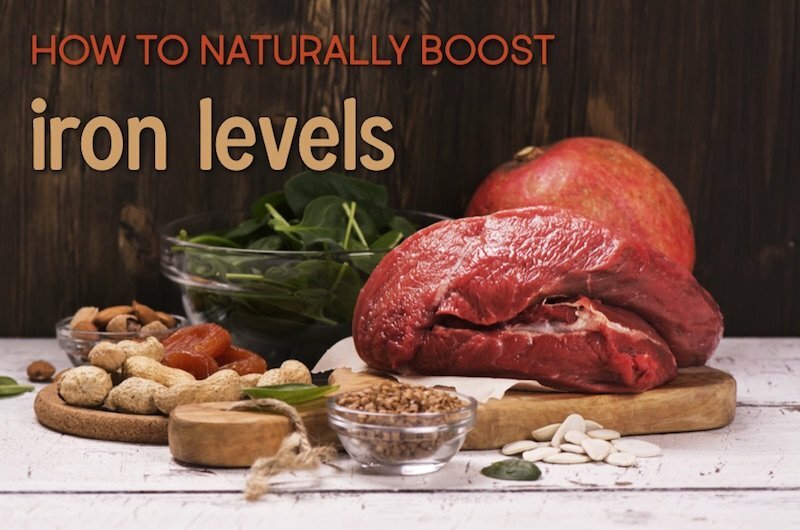 Many doctors will prescribe an iron supplement to their patients with iron deficiency, but there are always ways to naturally boost iron levels. We all know the mineral iron is important, but why exactly? And without red blood cells, your body cannot get enough oxygen. Once the body is deprived of oxygen, the symptoms rack up quickly. When isolated, the symptoms of iron deficiency can be confused with other problems. But if you are experiencing several of these symptoms in tandem, you may consider having your iron levels checked. Women – Since women lose blood during the monthly cycle, we are at an increased risk for iron deficiency during these times. We can prevent dipping iron levels by intentionally increasing our intake of iron-rich foods during menstruation. Pregnant women – With the increase of blood supply that comes with pregnancy comes to increased need for iron. Iron is incredibly important during pregnancy. The baby (and the placenta) requires so much iron and an expectant mama can quickly become deficient. You OB or midwife can check your iron levels throughout pregnancy to ensure you don’t dip down into deficiency. Children – There’s a reason a child’s iron levels are checked during their first well-child visits. 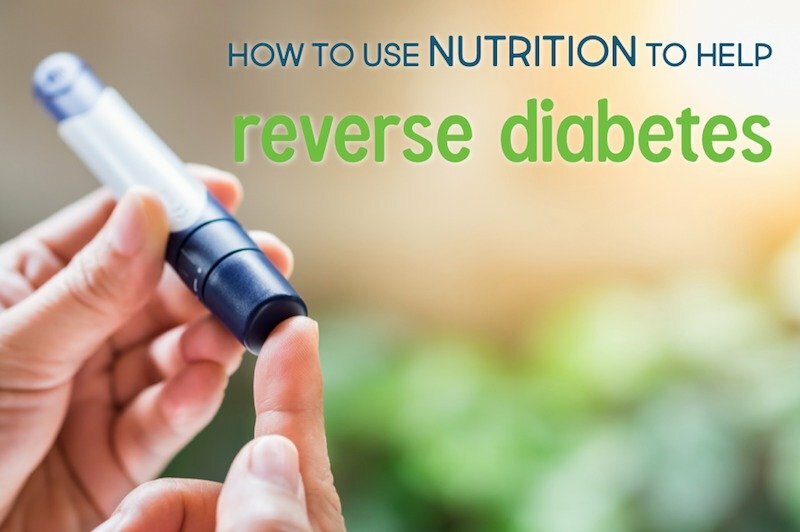 Low iron levels can lead to developmental problems. While mom’s breastmilk is the best way for a baby to get more iron (and mom can boost baby’s supply by boosting her own intake), a pediatrician may recommend an additional iron supplement. Did you know Vitamin C helps improve iron absorption? It’s best to consume iron from a variety of sources, along with foods high in vitamin C like citrus fruits and bell peppers. Another way to treat iron deficiency is through supplements. 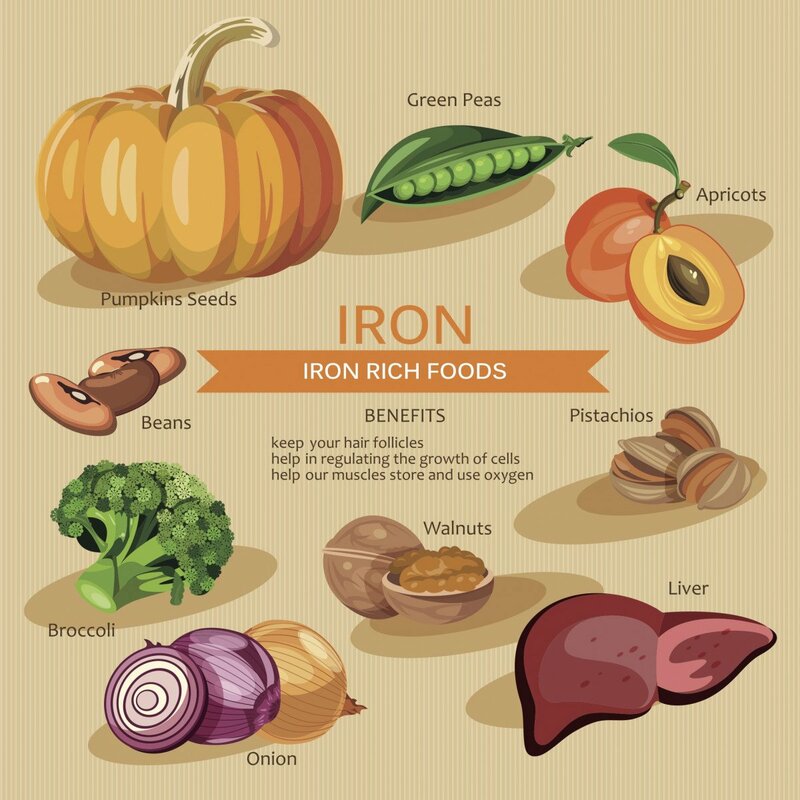 While I always think food should be the first line of offense and defense, iron supplements can be effective in restoring iron supply and mitigating uncomfortable symptoms. My favorite iron supplement is called Floradix. I love this brand because it’s natural and used by many naturopathic doctors. It is easily absorbed by the body and doesn’t carry the side effects many other iron supplements do like nausea and digestive discomfort. In the past when I’ve taken this supplement, I’ve noticed an almost immediate improvement. 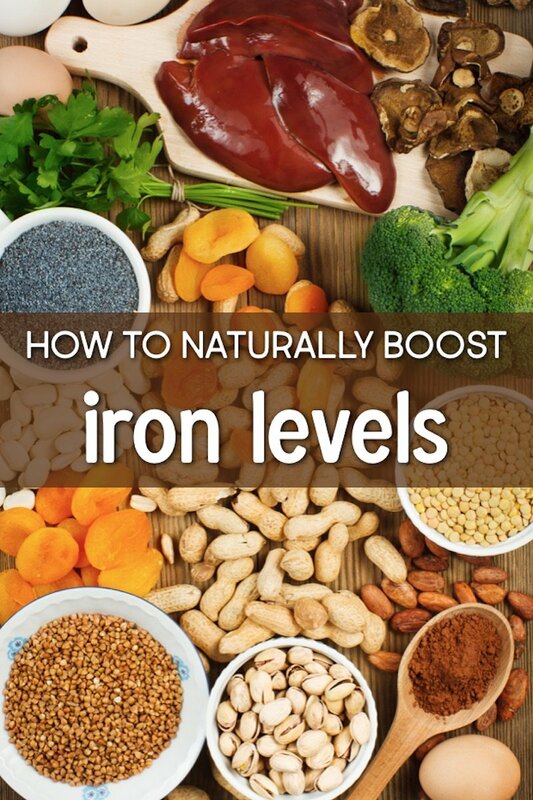 Have you ever boosted your iron levels naturally? What worked for you?